As part of his recent three-nation tour to Africa, Prime Minister Narendra Modi visited Rwanda, Uganda and then South Africa where he attended the BRICS summit. 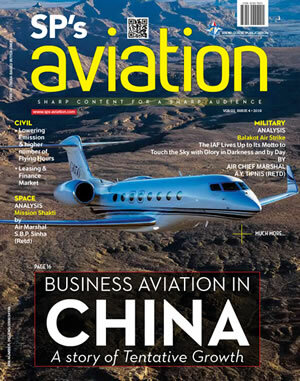 His first stopover was in Rwanda on July 23-24. Modi was the first Indian Prime Minister to visit Rwanda. He had wide ranging talks with Rwanda President Paul Kagame followed by delegation level talks, including with businesses and the Indian communities. In his address at the India-Rwanda Business Forum in Kigali Convention Centre, Modi said Rwanda opens the door to the entire African continent for India. He also said that the fast-growing economy of Rwanda can join hands with India to get exposure to a broader world market, also pointing out possibilities of cooperation in clean energy and dairy sector. India extended $ 200 million line of credit to Rwanda. Trade Cooperation Agreement to facilitate, diversify and promote trade and economic cooperation. 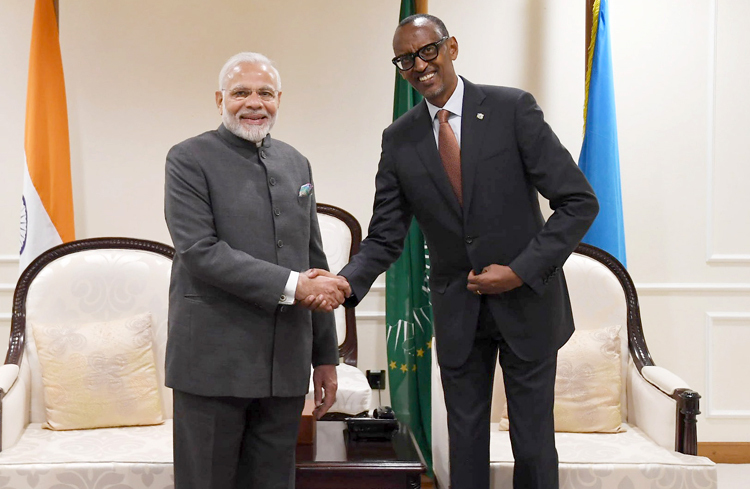 Modi also announced the opening of Indian High Commission in Rwanda soon and held that it will ease the consular and passport/visa related processes between the countries. The most publicized event of Modi's visit to Rwanda was Modi contributing 200 locally bought cows for 'Girinka', Rwanda's social protection scheme under which one milch cow is provided to each poor family. Modi visited Rweru model village to formally hand over the cows, reiterating India is proud to have been associated with Rwanda during its years of growth. This was a very fine gesture but the planners either failed or deliberately chose to ignore Modi government's approach towards cow slaughter at home. Of the 11 million population of Rwanda, 94.2 per cent are Christians and 2 per cent Muslims (totaling 96.2 per cent). These cows will probably remain alive till the time they are giving milk, after which they will be simply culled and eaten, there being no 'Gau Rakshaks' in Rwanda. PM Modi next visited Uganda (24-25 July), which was the first bilateral state visit by an Indian Prime Minister in 21 years. 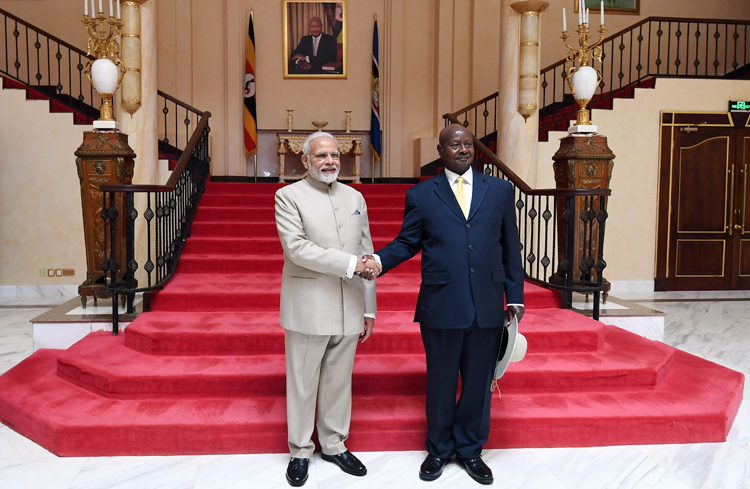 Modi had wide-ranging discussions with President Museveni on issues of bilateral, regional and international significance, plus to further develop bilateral economic and commercial, defence, technical, educational, cultural, scientific relations. They also discussed need for stern measures against all forms of terrorism, adoption of Comprehensive Convention on International Terrorism (CCIT) and reforms and expansion of UNSC. Both leaders addressed Indian community from Uganda and neighbouring countries, and the India-Uganda Joint Business Forum. Being the first Indian PM to address Uganda Parliament, Modi outlined India's engagement and approach to Africa. 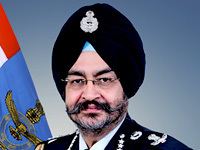 He listed the guiding principles for deepening India's engagement with Africa to help in its economic growth and tackle challenges like terrorism and climate change, adding that despite having 60 per cent of the world's arable land, Africa's agricultural output accounts for only 10 per cent, and that India will help Uganda achieve growth in agriculture through industrial investment. A slew of agreements and MoUs were signed between both countries covering bilateral defence cooperation, exemption from visa requirement for official and diplomatic passport holders, Cultural Exchange program and establishment of Regional Material Laboratory in Uganda. Modi announced several other measures, including: two Lines of Credits for construction of electricity lines and substations worth US$141 million and Agriculture and Dairy production US $ 64 million; Indian contribution for establishment of Mahatma Gandhi Convention/Heritage center at Jinja; training of Uganda People's Defence Force (UPDF) in India and deployment of Indian Military Training Team in Uganda; US $ 929,705 support for East African Community (EAC) currently chaired by Uganda; donation of 88 vehicles, 44 each for the Ugandan Peoples Defence Forces (UPDF) and for civil use by Ugandan Government; Bhabhatron Cancer Therapy machine to Uganda Cancer Institute; 100,000 NCERT books, and; 100 solar-power irrigation pumps to help develop agriculture. After concluding his five-day trip to Rwanda and Uganda, PM Modi arrived in South Africa to attend the BRICS summit. 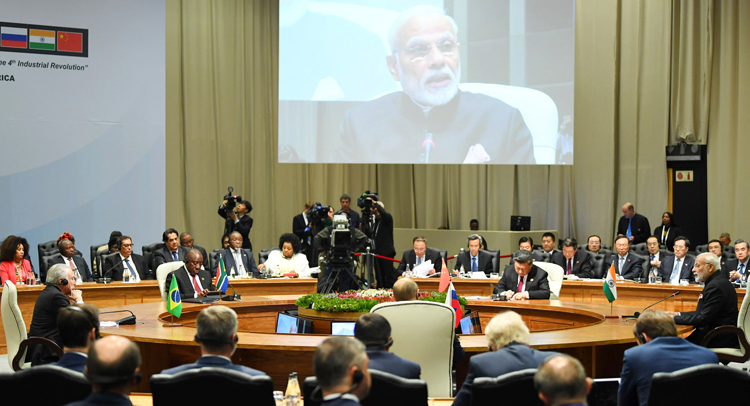 Modi, delivered a special address at the BRICS plenary meet wherein he said, "In a world that is full of fault lines and rifts, we need to build a shared future." He also spoke about the opportunities and dangers of technology, India's plan to fight income inequality, job creation, and how the country is "cutting the red tape and rolling out the red carpet" to international trade and investment. Highpoints of Modi's address were: BRICS contributes stability and growth in global drift towards uncertainty; trade and economy apart, our endeavours areas of technology, tradition, culture, agriculture, environment, energy, sports, and ICT; China has taken forward people-to-people thrust of our exchange from last year; BRICS is in mission-mode to eradicate poverty; ensure health, sanitation, skills, food security, gender equality, energy, education, and women empowerment programs; India has stepped up fight against black money and corruption; for upgrading mutual cooperation, BRICS rating agency is required to cater to financing needs of developing countries; Central Banks must further strengthen capabilities and promote co-operation between Contingent Reserve Arrangement and IMF; affordable, reliable and sustainable access to energy is crucial for development; climate resilience requires utilization of all resource; renewable energy is particularly important - BRICS countries can work closely with ISA to strengthen solar energy; youth must be mainstreamed in joint initiatives - cooperation in skill development and exchange of best practices; strong BRICS partnership on innovation and digital economy can help spur growth, promote transparency and support Sustainable Development Goals, and; India would be happy to work towards more focused engagement between BRICS and African countries in areas of skills, health, infrastructure and manufacturing. A critics comment was that Modi made no mention of the high population growth that BRICS countries are faced with – most of all India. The scourge of terrorism also gets discussed in multilateral forums. In fact, the 9th BRICS summit in China acknowledged it for the first time but there is little change in countries generating, sponsoring and supporting terrorism, China included. Modi also met Russian President Vladimir Putin and Chinese President Xi Jinping on the sidelines of the BRICS summit. President Xi Jinping told the gathering in BRICS that China will work jointly to achieve the fourth Industrial Revolution. India has been trying to build trade relationships in Africa. It may be recalled that in 2015 Modi invited African leaders to New Delhi for an India-Africa summit that was the biggest of its kind. Overall, Modi's three-nation trip to Africa has certainly enhanced India's relations with these countries.